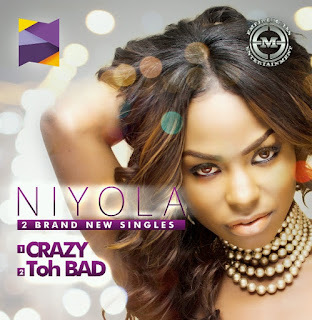 EME's leading lady; NIYOLA releases hot new singles After wetting appetites with Don’t Delay Me and features alongside Banky W, L Marshall and BurnaBoy, EME’s 1st lady Niyola serves us two new singles; CRAZY and TOH BAD. Love is the central theme and Niyola shows us her romantic, playful and charming sides. Crazy produced by Masterkraft is a mid tempo ballad that tells the story of the intense emotions attached to loving that special someone. While the Oscar laced Toh Bad is the atypical love song, in it Niyola explains the depth of true love and how encompassing love is.